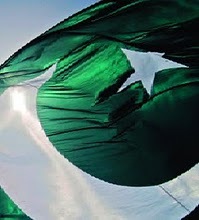 The Republic of Rumi Blog: "Pakistan: the Next 20 Years"
"...an increasing number of Pakistanis including the educated segment are likely to become culturally and mentally isolated from the West." How do we (Or do you recommend?) ways we decrease these difficulties? Do we push against the increased barriers outside our own choices that limit ease of access to one another or do we go with the unfortunate flow? "The absence of quality dialogue...can lead to an actual conflict if disenchantment and isolation are not addressed..."
How long before our efforts to dialogue may be too late or is there any way to know? yes agreed.....Pakistan will rise in the coming decade inshaALLAh but for that rise we need to groom our youth now and educate our masses. We need to take some strict decisions involving NO to USA and then becoming self reliant as a Nation, developing the level of Khudi in our self and then spreading it as catalyst. I am writing this with reference to the extra-judicial killing of a civilian by some security personnel in Karachi. Please recall memories of pre-1979 Iranian regime. They were as corrupt as any other dictator of a third world country and vice versa. Then, what motivated, aggravated even forced 35 million masses to come to Tehran and chant one and only one slogan "MARG BER SHAH" i.e. Death for King (Contrary to Long Live the King)? I want to remind that people chanting the slogan belonged to many different factions, religious-groups, Communists and even Liberals. The slogan DAROOD BER KHUMANI was listened very late. Initially, they only wanted one thing that was to get rid of the King. In my understanding, it was SAVAK, a secret police, domestic security and intelligence agency. SAVAK has been described as Iran's "most hated and feared institution" prior to the revolution of 1979 because of its practice of torturing and executing opponents. Yesterday’s incident was neither first, and perhaps, nor the last of its nature; similar incident occurred in Sialkot, a few months back and there are many which are un-reported. Will 2011’s Islamabad give reflection of 1978’s Tehran? WE ALL ARE EUSTHANSIANS with a G A P..! Well you have to accept the fact that we are a nation that is in trouble and where there are alot of gaps such as communication gap between the public and the government, gap between generations, gap between different thought processes ,gap between poor and rich that is increasing, gap between onlookers to the stupid"roshan khiyal" of Musharaffs followers and to the long bearded self-taught exctremist black beards(not mentioning the Scholars ).These gaps have amalgamated in creating such a situation in the nation that almost everyone is clueless first about the nation,secondly about themselves, thirdly about the future of themselves in this nation,fourthly wether it will survive the barrages of storm and adversity thy nation is getting hit by ,neverless will it be one of those countries which are just like the living dead for example the small barren african nations. I myself am clueless that if the The Two nation theory was hypothesis to be refined and followed than why does the author of the hypothesis seems changed to me than the Shaheen(Iqbal) to the showpiece of Congress (AZAD),because sadly and truthfully his predictions seemed to be the most accurate yet,weather liking or not ...again saying the same thing the GAP OF THOUGHT ..IQBAL vs AZAD's thought....!! conclusively we have become that nation that is daydreaming alot that one day everything will change,and yes things will change but if remains they will change as dreamt ,but for towards the worse..